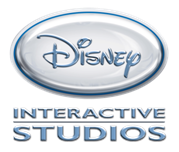 Disney Interactive Studios today announced that Disney•Pixar’s Cars 2: The Video Game is coming to major platforms this summer. Unveiled at the American International Toy Fair in New York City, Cars 2: The Video Game will allow players to jump into the Cars universe with a brand new international spy theme. The game will feature an array of beloved Cars characters competing in action-packed spy adventures, as well as world-class racing. Inspired by the upcoming Disney•Pixar animated film, Cars 2: The Video Game is slated for release this summer. Avalanche Software, video game developers of the critically acclaimed Toy Story 3: The Video Game, are back in the driver’s seat for Cars 2: The Video Game, working in close collaboration with Pixar artists to bring the humor and personality of the feature film to life. Cars 2: The Video Game will feature connectivity with the World of Cars Online – a free-to-play browser-based, virtual world based on the hit Disney•Pixar animated Cars universe. Players will be able to discover an exciting new world beyond Radiator Springs with Mater, Fillmore, Sarge, and others as they gain rewards in the video game and then use them to unlock new items in the World of Cars Online. Cars 2: The Video Game will be available on major video game platforms this summer including PlayStation®3 computer entertainment system, the Xbox 360® video game and entertainment system from Microsoft, Wii™, Nintendo DS™, and PC/MAC. Please visit http://Disney.com/CarsVideogame and www.facebook.com/carsgames for more information.